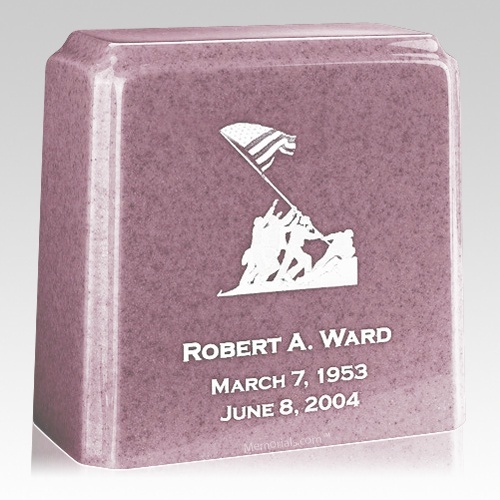 The Tablet Lavender Wood Marble Urn is made from cultured marble material. It is an exquisite urn and even used as urn vault, perfect for home display or burial. A great urn for your loved one. "My sister's and I wanted a way to keep a part of our mom with us all the time. When we saw the prices of the keepsake pendants at the funeral home, we couldn't believe it. I found Memorials.com website, and found exactly what we needed. We also wanted to share those special keepsake pendants with very special friends (10 of them) and Memorials.com was more than willing to give us a discount. We truly appreciate these keepsake pendants and the service that was given to us."